After graduating from Stern College for Women and New York University School of Law, Naomi Maryles ’96S was set with a job at Kramer Levin Naftalis & Frankel LLP, a highly esteemed law firm in Manhattan. Newly married to her husband, Rabbi Bini Maryles ’97SB, ’00R, ’10AZ, she was employed at the firm for several years and was actively working her way up the corporate ladder. There was one problem: she missed putting her three children to sleep. Maryles grew up in West Hempstead, NY, the daughter of an attorney, and always knew she wanted to be a lawyer. She attended Hebrew Academy of the Five Towns & Rockaway (HAFTR) elementary school and for one year of high school (where she was the first freshman ever to be accepted to the school’s mock trial team) before switching to Hebrew Academy of Nassau County (HANC). She then spent 18 months learning at Midreshet Moriah in Israel. At Stern, Maryles majored in elementary education, which might seem like an odd choice for someone intending to enter law school. “I always knew I would go to law school, but I also wanted to graduate college with a real skill, which in my mind was accounting or teaching,” she explained. “Since I’m horrible with numbers, I chose teaching.” Maryles loved the student-teaching she did at the Ramaz Middle School and at a public school in Greenwich Village, and although she was admitted to her first choice for law school, NYU, she decided to defer for a year to work as a teacher at Manhattan Day School. After beginning law school, she saw a sign looking for volunteers for the Battered Women’s Justice Project, and her interest was piqued. “It was there that I learned just how common domestic violence is, and how many women are victimized. This led to my interest in working on behalf of women’s rights.” Maryles continued to focus on battered women’s issues in her pro bono work at Kramer Levin and served as a liaison to InMotion, an organization that assists victims of domestic violence. While at Nishmat, Maryles also trained as a volunteer for Shalom Task Force, a communal organization promoting healthy marriages and peaceful family relationships. As a volunteer, she travels to different high schools to speak to young women about healthy relationships. 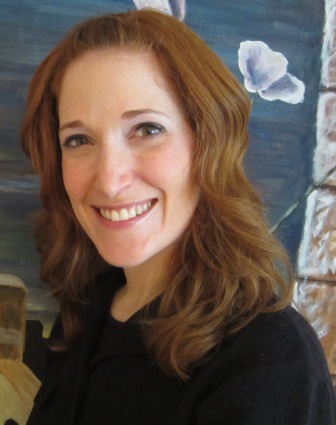 As the Beth Din’s administrative attorney, and the first female attorney to work with any rabbinical court in the United States, Maryles handled the administrative casework dealing with marital issues, such as gittin (Jewish divorces), end-of-marriage issues (such as division of property and custody arrangements) and commercial matters (such as business and real estate arrangements). Maryles was in charge of the case procedures from opening case files, to drafting and sending summonses, scheduling hearings, mediation, negotiations and settlements. Maryles largely credits her husband’s support for enabling her to do as much as she does. “In truth,” said Rabbi Maryles, “I don’t know how she has the time, strength and energy to do all of the things she does and still finds time to take on more, but it is quite inspiring to watch her go each day.” Maryles lives with her husband and four children—Avigayil, 10, JJ, 8, Orly, 6, and Azi, 3—in North Woodmere. To connect with Naomi Maryles and other YU alumni living in the Five Towns and around the world, visit www.yu.edu/alumnidirectory.